Transformers are an important part of the total system. Step-down transformers are used to reduce maximum voltage to a safe operating level as well as electrically isolate the heatsealing circuit from possible ground loops that could affect the performance of the system. Power transformer size and voltage tap selection depend upon the length, cross-section, and number of Heatseal Bands being controlled by one system. One system consists of one controller and one power transformer. As the length of the Heatseal Band increases, the electrical resistance of the Heatseal Band increases. In order to get proper performance, the secondary voltage output of the transformer must be selected to produce the correct level of total power. The temperature of the Heatseal Band should ramp up at a rate not to exceed 1°C/mSec. If the secondary voltage supply is too high, the ramp-up rate will be too rapid and the controller will not respond properly. Optimum voltage selection depends on several variables. Application Engineers at TOSS can assist you by calculating the preferred set-up using TOSS computer programs. This service is offered free of charge to the ROPEX® Resistron® (RES) Heatseal Temperature Controller users. Call 610-759-8883. A “Thumb Rule” for determining voltage is 1 to 1.5 volts/inch of band length. Wider and thicker bands should be calculated closer to 1 volt/inch. Once the voltage is determined, the power required at peak load (heat-up) can be calculated by use of the following formula. Applications that require more power can be operated by use of a Booster System. Please contact the TOSS Application Engineering Staff for assistance. The transformer’s secondary voltage selection is very important because the controller will go full “ON” when the controller is first activated. If the secondary voltage is too low, the ramp-up will be slow and the time required to reach the pre-set temperature will be too long. Alternatively, if the voltage is too high, the ramp-up rate may exceed 1°C/mSec. In this case, the controller will go into a switching mode, control will be unsatisfactory, and damage to the controller may result. It is important not to exceed the recommended KVA rating of a transformer. The selection of a transformer that is not oversized will provide some protection against the possibility of damage in the event that an oversized Heatseal Band is installed. 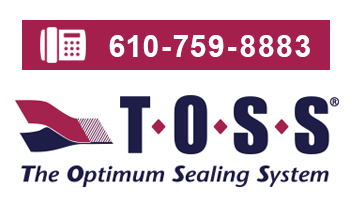 TOSS offers special Heatseal Power Transformers with 115V, 230V, and 400V primary ratings. 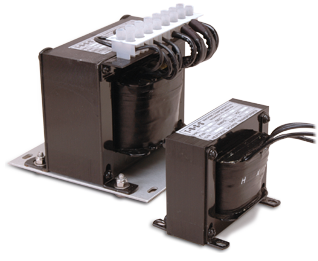 These specially wound multi-tap transformers provide a selection of secondary voltages to suit every need. Developed for high response, the transformers are designed to complement the Resistron (RES) Heatseal Temperature Controllers assuring trouble-free performance and easy system design and installation.